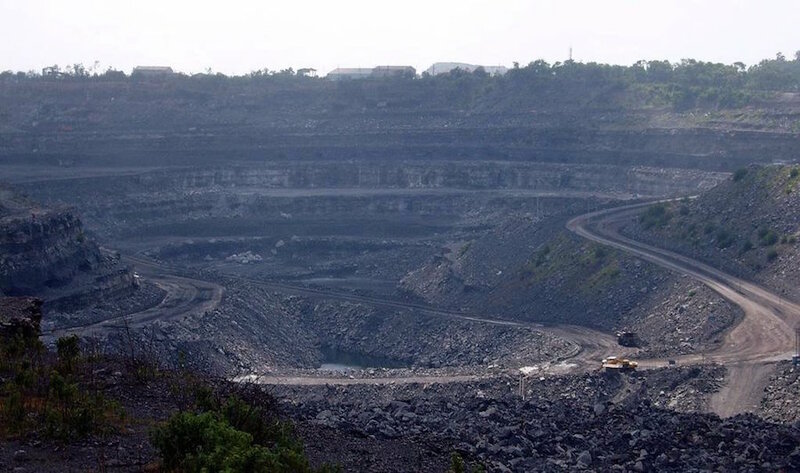 Photo of coal mine in Jharkand, India by Nitin Kirloskar, sourced from Flickr. Coal India Ltd, the world's largest coal miner, has held internal talks to discuss buying metal mines abroad amid faltering revenues and rising employee costs, potentially signaling a strategy shift to cut reliance on the fossil fuel. The state-run company plans to form two units: one to manage its local mining of iron ore, bauxite and maganese, and another to expand into copper and nickel mining overseas, two company officials involved in the planning told Reuters. "The plans of Coal India to enter into metal mining business both in India and abroad are in a very nascent stage, and of strategic and confidential nature," the company said. Coal India, which has so far been unsuccessful in buying stakes in overseas coal mines, is banking on government to government deals for its overseas foray into metal mining, company officials said, adding that any proposal that follows will be subject to board approval. The plan to diversify into mining metals such as copper and nickel with no prior experience is being seen by analysts as a long-term strategy to firm up revenues, with no immediate results in sight. "It may not happen for at least the next couple of years, given the track record of Indian PSUs (public sector undertakings) investing in other countries," said Gautam Chakraborty, an analyst at Emkay Global Financial Services Ltd. The company has had little luck with overseas deals, and is still scouting for deals to buy a minority stake in "prime coking coal" mines in Queensland in Australia, one of the officials said, adding that a majority stake looks unlikely. The company first started evaluating proposals to buy overseas coal mines at the end of the last decade, and has since tried acquiring coking coal mines in Mozambique, with the deal falling through as the company was not satisfied with the mines offered. Coal India, which plans to generate 1 gigawatt (GW) of renewable electricity this year, has also doubled its solar energy target to 20 gigawatts (GW), one of the officials said, without specifying a timeline. "With India going big on solar, and restrictions related to pollution coming in, they might want to get into a business they are sure about, given they are flush with cash," Chakraborty said. The company is looking for deals in politically-stable resource-rich countries to ship its share of reserves back to India, one of the officials said. The country's second biggest employer, which has seen its quarterly profits fall for five straight quarters amid rising employee costs, is also locked in wage negotiations with its over 300,000-strong workforce affiliated to strong trade unions.